Looking for an accessible space for an event this holiday season? Archeo Trattoria is a great option in the Distillery District with décor that perfectly fits the neighbourhood: high wooden ceilings, warm exposed brick walls and delicious Italian dishes. If just visiting for lunch or dinner, be sure to get in touch with the restaurant as they often have private functions so you’ll want to be sure they are open! The Distillery District is not near the subway line, but the 504 streetcar has accessible cars and stops at Parliament St., just two blocks away. There is also a large outdoor parking lot at Parliament St. & Mill St. where we have always been able to find a spot. The Distillery District is a pedestrian only area that does not allow cars to pass through, which has helped maintain the cobblestone walkways. Because Archeo is right at the entrance to the pedestrian area, you will actually not need to navigate any cobblestone to get to the restaurant. The front entrance has flat pavement as you approach, with a heavy wooden door to enter. There is not an automatic door opener, however it is a spacious opening with a door clearance of 33”. There is a subsequent interior door to the foyer, that is 31”. 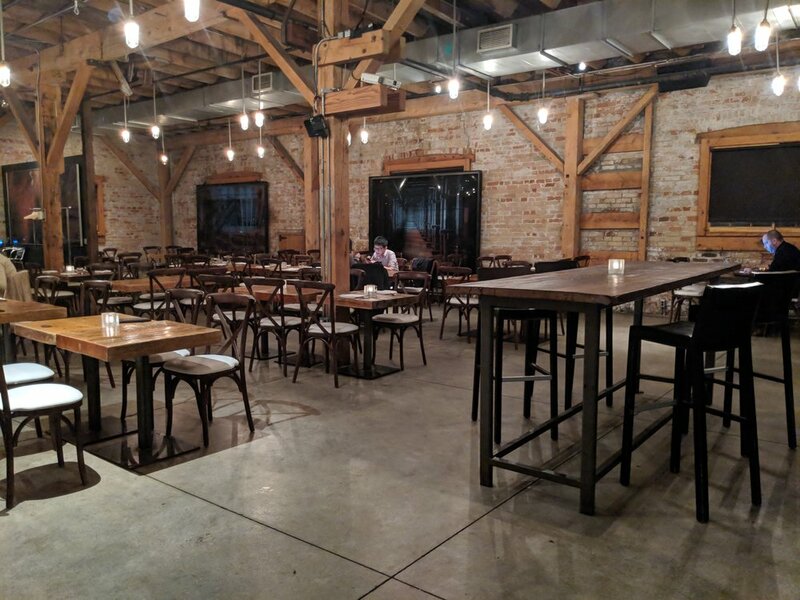 Indoors, the flooring is smooth concrete with ample space to navigate around all the tables throughout the restaurant, as well as the ability to park assistive devices. Tables are standard 29” height; however the thicker wood top measures 26” from the floor. Washrooms are towards the back of the restaurant, as you pass the appealing bar area. 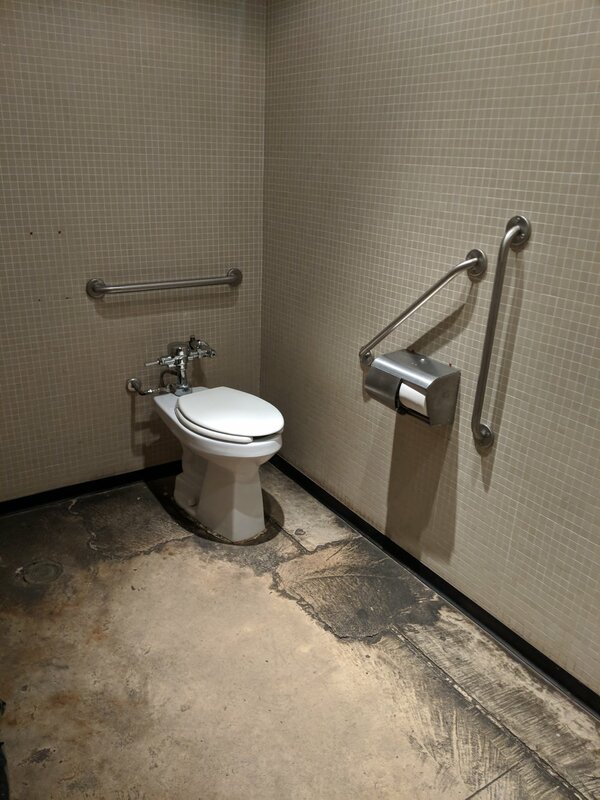 There is a private accessible washroom, with a 38” door entrance and accessible button to lock. The toilet is manual flush and the taps have knobs. Sink is 32” high and 24” wide. There is also a change table available for use. Archeo boasts great fare and fantastic service. Whether you are in the mood to share a bottle of shiraz on a romantic date night or want a private space to celebrate with your closest 150 friends, Archeo’s got you covered.